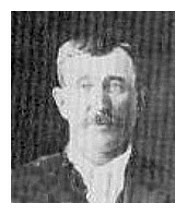 Michael FOLAND was born in Rockingham County, Virginia, on January 14, 1820, the son of Michael Sr. (1794-1834) and Catherine or Christina (ZIMMER/ZIMMERS) FOLAND. Catherine was the daughter of Michael (1738-1792) and Catharina ZIMMERS. 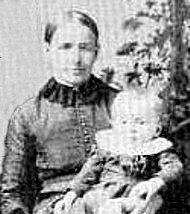 Michael's mother died around the year 1823 when he was about three-years-old. Michael Sr. married second to Catherine/Katherine SEMNER or SUMMER or SOMNER. 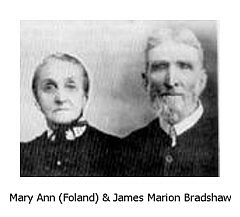 Shortly after this marriage, the family moved to Rane County, Indiana. There has been quite a bit of confusion with regard to Michael Jr.'s mother. Her name and the name of his step-mother have been interchanged in many genealogies and historical records. Michael's father, Michael Sr., died when he was fourteen-years-old. Because he lost both parents at an early age, his memory and recollection over the years probably wasn't much assistance in the matter. Michael and his step-sister, Phillepine "Phoebe" SEMNER were listed as orphans, August 18, 1834. 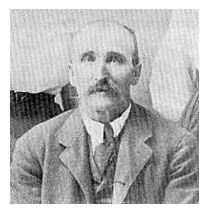 John FISHER was appointed by the court as their guardian. 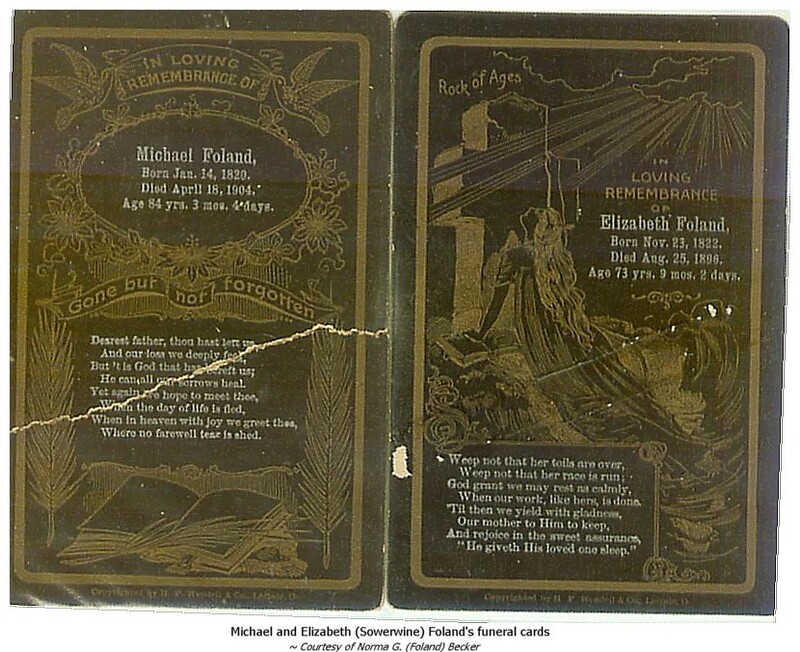 Michael's paternal grandfather, Johann "Valentine" FOLAND (1756 - 1811) served through the American Revolutionary War. 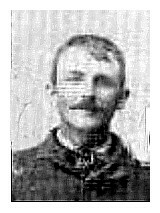 It is believed that he served in the Virginia Regiment. 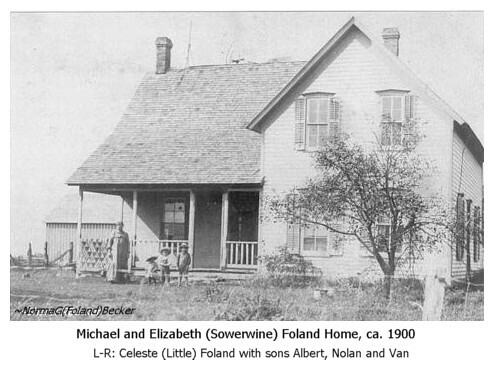 Michael FOLAND and Elizabeth SOWERWINE were married on October 16, 1842 in Delaware County, Indiana. 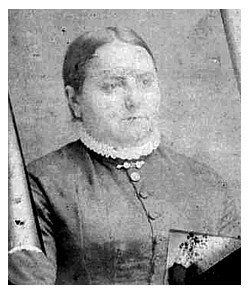 Elizabeth SOWERWINE was born November 23, 1822, Timberville, Virginia, the daughter of William "Christian" (1793-1871) and Maria (GOOD) SOWERWINE (1800-1838). 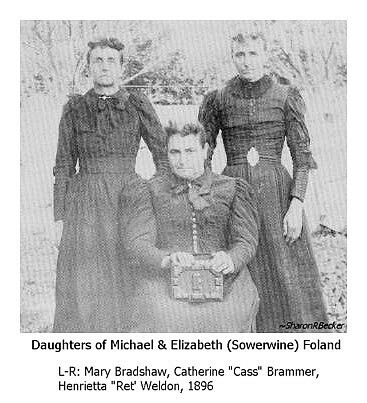 After Maria's death, Christian married second to Catherine/Katherine SEMNER or SUMMER or SOMNER, the second wife of Michael FOLAND, Sr. and Michael's step-mother. From the deed records of Delaware County, Indiana, Christian SOWERWINE and Catherine made out a guardian’s deed to Michael FOLAND, Jr. for the west ½ of the southeast quarter of Section 17, township 19 on August 6th of 1842. In this document, Christian states that he is the guardian of Michael FOLAND, Jr. who would have been twenty-two-years-old at the time and was preparing to marry Elizabeth SOWERWINE. When Michael FOLAND, Jr. married Christian’s daughter Elizabeth, Michael was not only Christian’s step-son but his son-in-law, too. 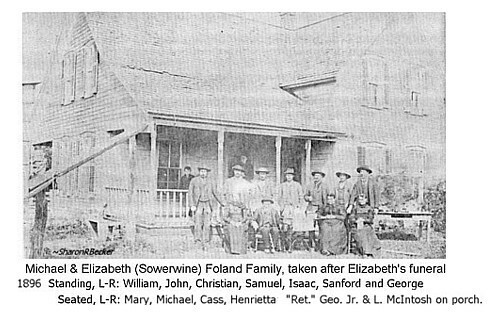 According to Elizabeth (SOWERWINE) FOLAND’s obituary, the combined family left Virginia, arriving in Indiana during the year 1836. 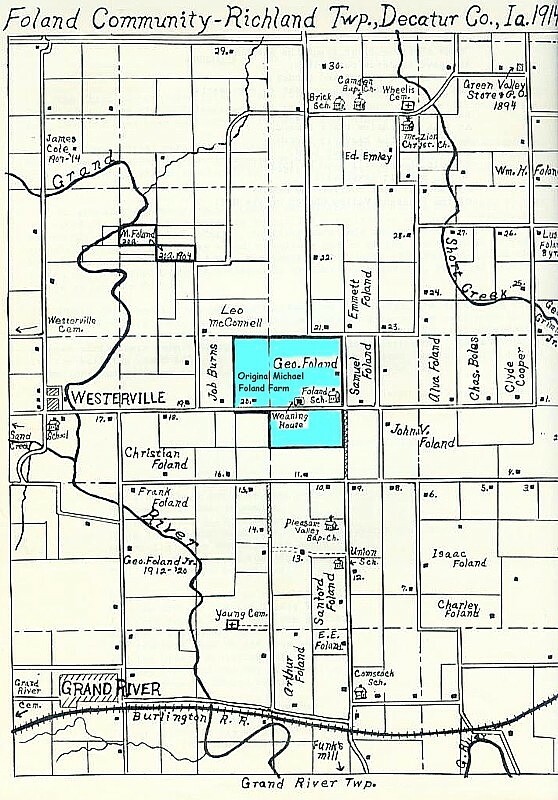 According to a deed on record in Decatur County, Iowa, Sherman and Ruth BOWERS of Delaware County, Indiana, sold 160 acres located in Richland Township to Michael FOLAND. Interestingly, Sherman BOWERS was a co-trustee of the Bowers Lutheran Presbyterian Church with Elizabeth’s father, Christian SOWERWINE. 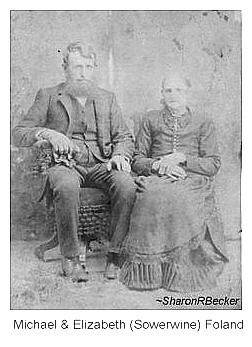 In September of 1859, Michael and Elizabeth FOLAND left Muncie, Indiana with a covered wagon, three horses and a rig to come to Decatur County, Iowa. 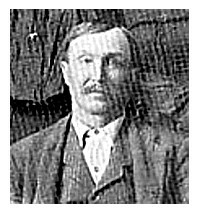 On their way to their homestead, the FOLANDS stopped and wintered at Dekalb near Short Creek where their son Isaac Randolph "Ike" was born the following spring on April 3, 1860. 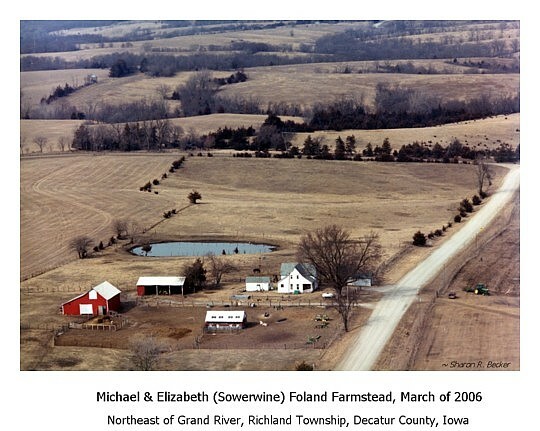 Once Elizabeth was able to travel, they completed the last 20 miles of their journey to settle on 160 acres of land which would be Michael and Elizabeth's home for the remainder of their lives. They built a log cabin where they lived until they built their new home around the year 1880. At the time, this was one of the finest residences in the county. Michael owned and operated a hardware store and a harness shop in Westerville and a sorghum mill. When five of the FOLAND sons married, the newlyweds moved into what became known as the 'weaning house' and operated the mill until they had accumulated enough funds to purchase their own farmstead. 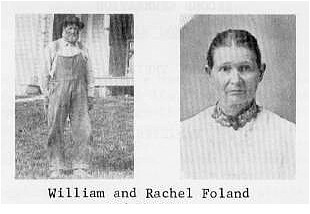 [William and Sam FOLAND were the exceptions. 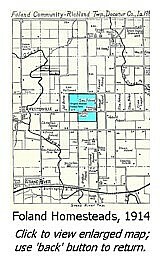 ~ SRB ] Michael also built the Foland School located on the southeast corner of his farm until it was moved to the town of Kellerton around the year 1960/61 where it served as the music room for Grand Valley Community School. 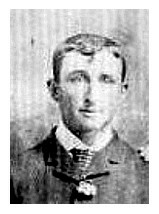 During the Civil War, Michael served with Company A of the Third Battalion, Iowa Southern Border Brigade. Elizabeth, who was well-known for her sweet disposition, died on August 25, 1896, and was interred at the Wheelis/Tennessee Cemetery, Richland Twp., Decatur County, Iowa. 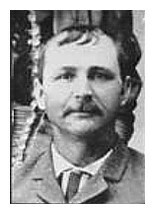 Michael died on April 18, 1904 and was interred beside his wife. Michael and Elizabeth's granddaughter-in-law, Wilma (RAMSEY) FOLAND, wrote The Foland Record in 1960. She wrote several supplements in the years that followed - Supplement 1, July 1960 to July 1965; Supplement 2, 1965 to 1971; and Supplement 3, 1971 to 1982. These records are now out of print however, on occassion, a copy appears for sale on e-bay. 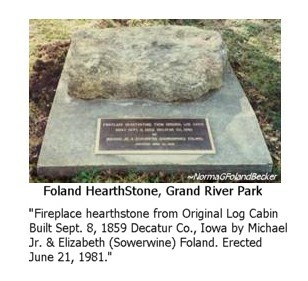 With Grand River's Centennial approaching (1981), a planning committee of FOLAND family descendants was formed to set the original heartstone from Michael and Elizabeth's log cabin as a permanent marker. 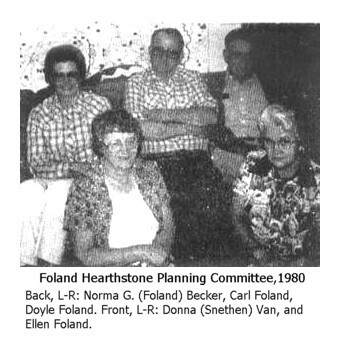 Members of the planning committee were Donna (SNETHEN) VAN, Ellen FOLAND, Carl FOLAND, Doyle FOLAND and Norma G. (FOLAND) BECKER. The monument with the heartstone was dedicated during the Centennial celebrations on June 22, 1981. It is located in the southwest corner of the town park. 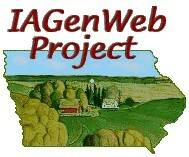 Click on links below to view individual family pages. 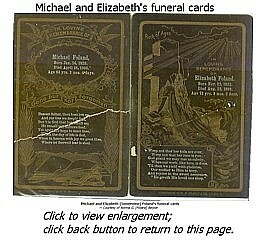 to return to Michael and Elizabeth's page. ask for permission from the coordinator of this site before you "borrow" these images. Thank You.